f you think balancing school and leisure time is tricky for you, try a day in Laura Gemmell’s squash shoes: at 19, she is a top-ranked squash player who is also in the pre-med program at Harvard. With beauty, brains and brawn, she’s been all over the world, travelling to India, Egypt, Australia, England, the States and more for squash competitions. 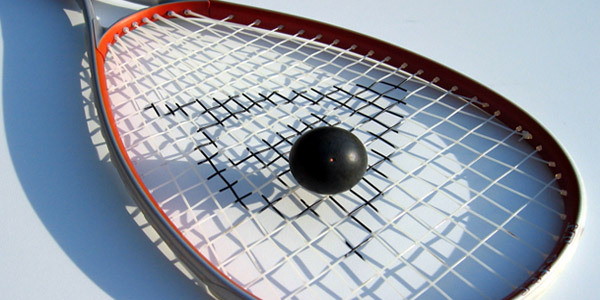 Despite its popularity in a lot of countries, there hasn’t been too much focus on squash, perhaps due to the fact that it’s not ideal for the average spectator. And, although there have been attempts, it hasn’t yet made it into the Olympic Games, making it seem more obscure than it really is. Laura would love to see that change. 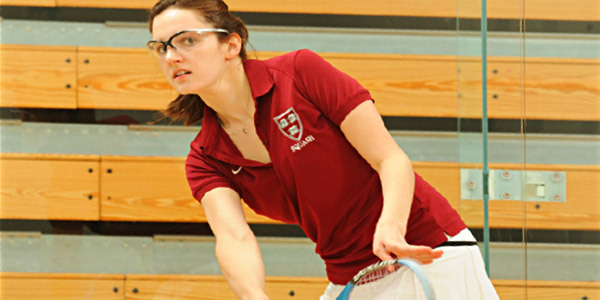 Laura holds many squash accomplishments under her belt, including ranking third place at the British Junior Open (considered the world championship) and winning the NCAA intercollegiate title this year. She also won the Scottish Junior Open last year. So there is no doubt that she is a squash queen. But how does she manage to win all these squash competitions and get top marks in a challenging program at Harvard? “[During] high school I got into a really good routine…very school- and squash-oriented. At college you actually have a lot more time. If you have good time-management skills, college is actually easier than high school [to balance],” says Laura. Off from anything too intense this summer (squash or school-wise), Laura is eager to get back to the campus and the game that she loves. I’m not quite sure if I’ve heard someone so eager for classes to start again, but it’s clear she’s having fun with both study and sport. While dreaming simultaneously of a continued golden squash career and a physician’s white coat, she’s definitely a champ with a clear plan in mind. “Squash has done so much in my life,” Laura says. “It’s a great sport, great workout, great thinking game. Laura is an inspiration for all athletes struggling with balancing academics and athletes. She makes it clear that it is possible to excel in both areas. So, if you set your priorities straight you won’t get squashed!